Since InLoox 9 you don’t need a VPN for working with InLoox. Now you have the possibility to access the database via InLoox Web App with your local installed Outlook Client. Requirements: Outlook Client as well as InLoox Web App at least in version 9.0.10. If you’re using InLoox now! then InLoox Web App will automatically be up-to-date and you only need to check the current version of your Outlook client. If you use an Office 365 account in Outlook and log on to InLoox with “Outlook Login”, you won’t be able to use the login to log on to InLoox Web App. 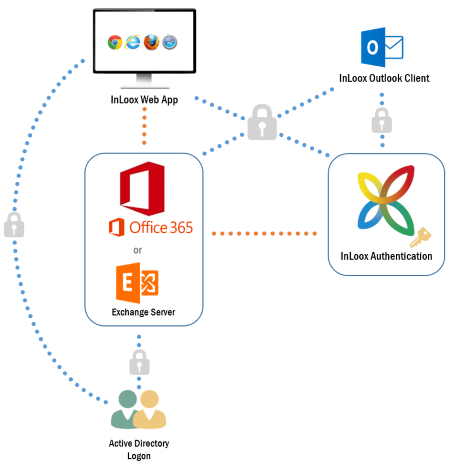 InLoox 9.0.9 offers you another authentication method to log on to InLoox Web App with an Office 365 account: You can add an additional InLoox authentication to your Office 365 user account. You can then use this authentication to log on to InLoox Web App. This enables you to use the same Office 365 user account for InLoox for Outlook and InLoox Web App. 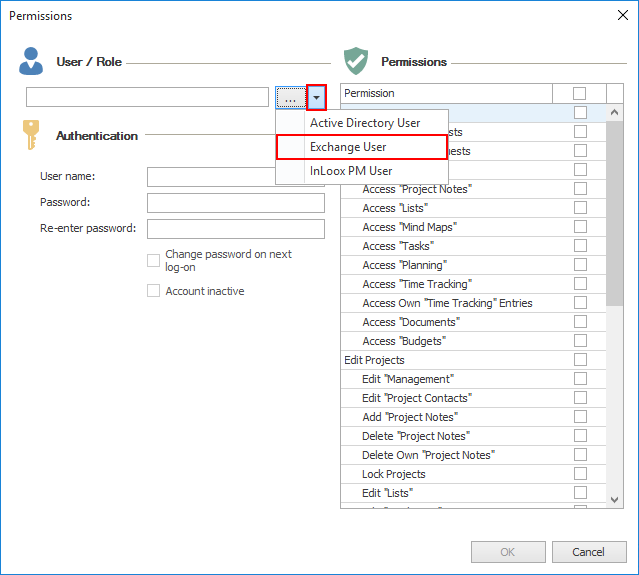 Open the context menu and select Exchange User. Select your Office 365 contact from your global address book, then close the address book with OK.
4. 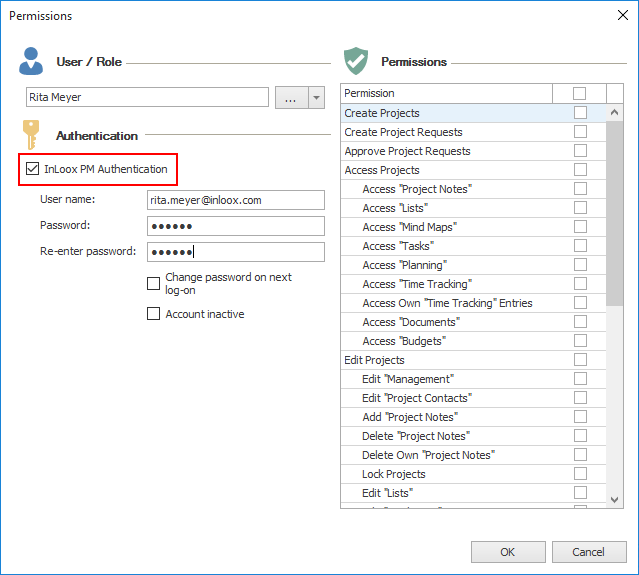 Now select InLoox PM authentication in the permissions dialog and set a password. 5. Click on OK to confirm. 6. Click on OK to save and close the InLoox Options. 7. Now you can log on to InLoox Web App with your email address and the assigned password. Additional log on option to InLoox Web App for Office 365 users • Copyright 1999-2019 © InLoox, Inc. All rights reserved.